...we haven't made any progress in decades. 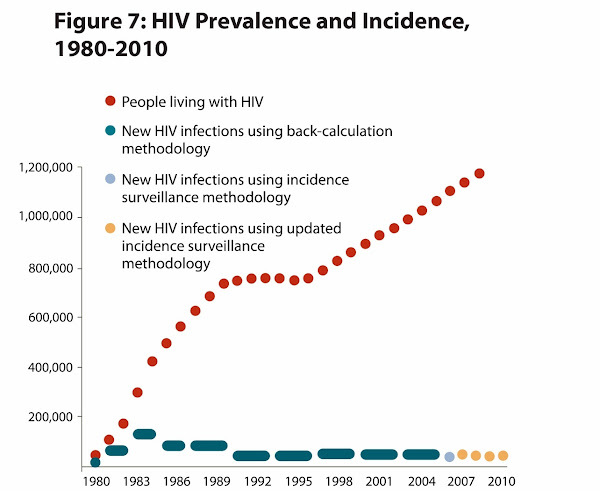 Every so often I come across an article that says something like "...back in the midst of the AIDS epidemic..." I can tell by the context that they mean the late 70s and 80s before we understood what AIDS was. 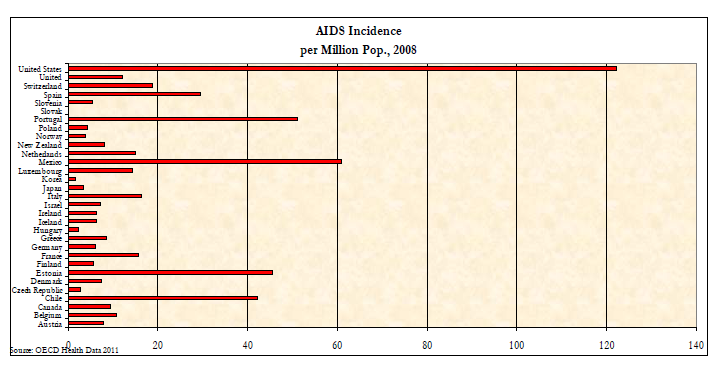 Still, the phrase puzzles me--for the United States at least, the AIDS epidemic is worse now than ever. 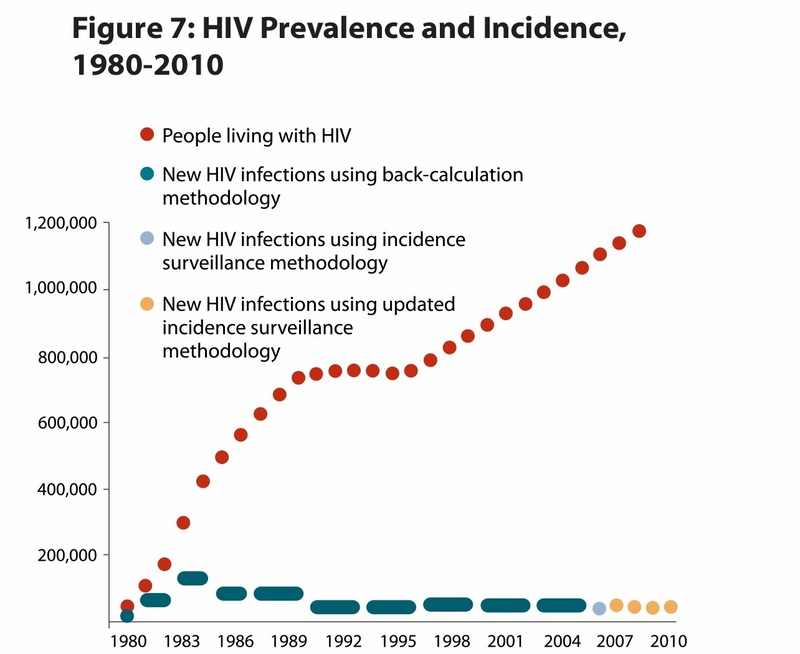 The slowdown in the early 1990s seems to have been due to the increase in condom use. Unfortunately, efforts to extend those gains have borne little fruit for the past two decades. 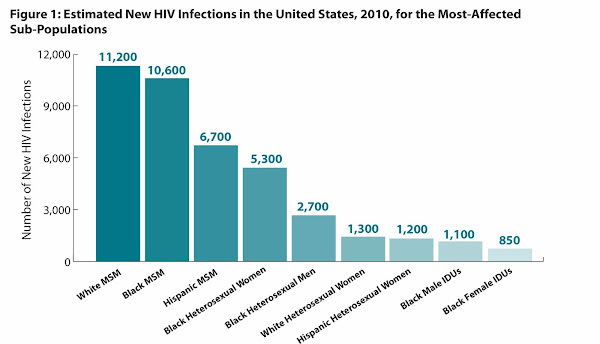 The incidence of HIV in the US far exceeds our peers'. 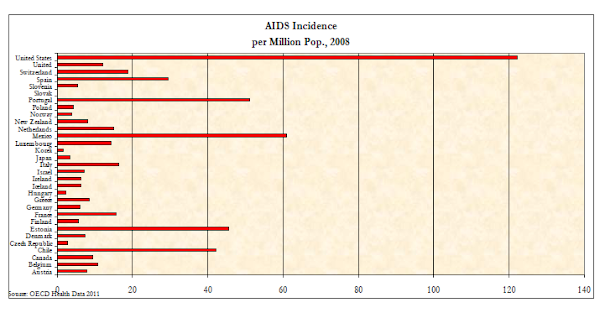 HIV prevalence is falling globally, but not in the US. Source. You should be worried about getting HIV if you are gay or straight, male or female, or anything in between. Source. The only US group who didn't make the list are Straight White Men. It's the same privileged few that still rule the world, and--based on their policy priorities, at least--it doesn't seem like they give a damn.